Today was an excellent day. The skies were blue and we were rested after the night at Albergue Cañaveral, which was a better experience than the 4 star hotel. 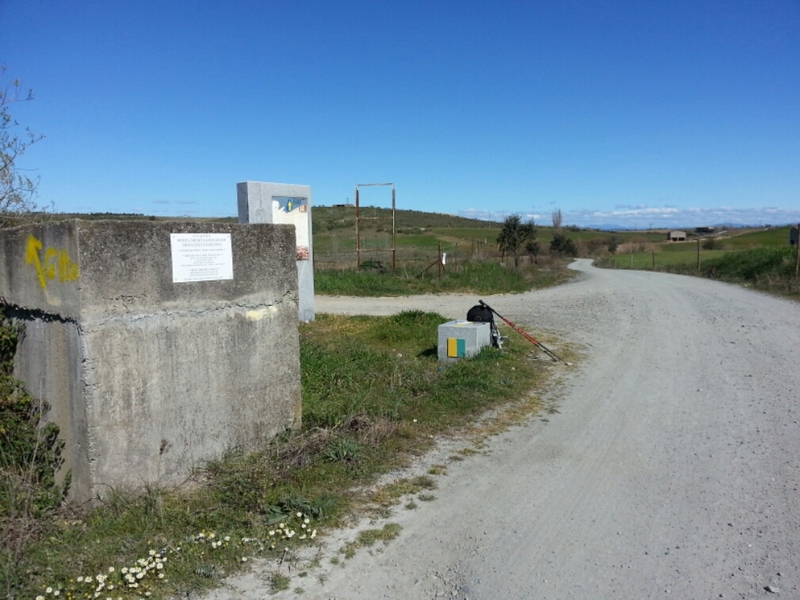 The walking was almost entirely on dirt paths or roads through light forest and farms. 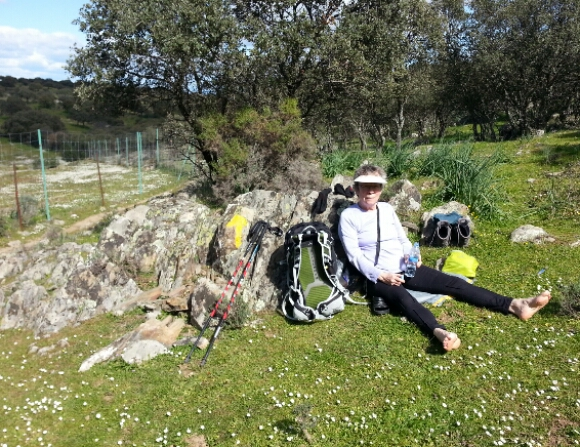 We took the “new” route at the double gate at “Cuatro Terminos”, which added 4 km to the distance, but we were expecting to stop in Riolobos rather than push on to Galisteo. 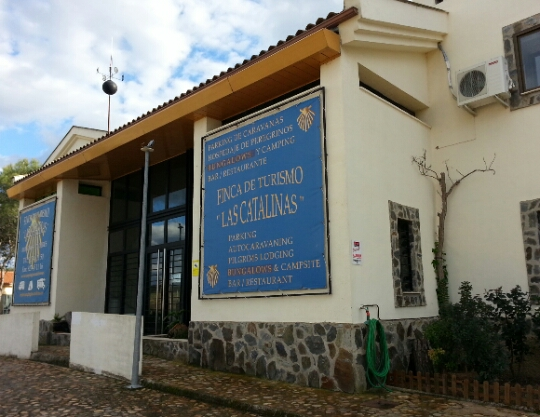 Now we are happily installed in a double room at the Riolobos Camping Las Catalinas for €15 each. The manager/hospitalero is Nacho, who also manages the albergue in Galisteo. 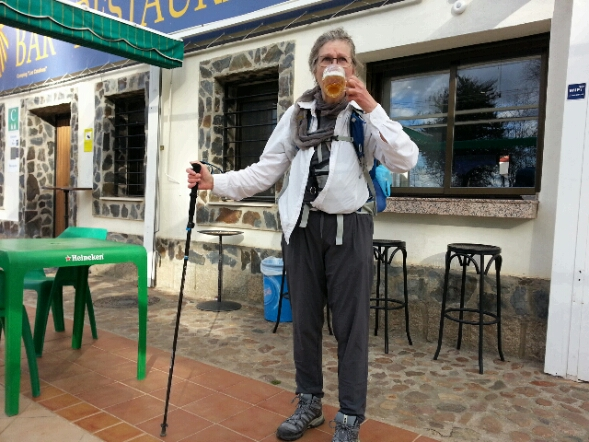 He is very helpful and enthusiastic about the camino and has explained the following information, which also covers some of the next section to Galisteo. For a few years there were some “issues” on the section leading to Galisteo. Signage went missing and some fences weren’t maintained, so pilgrims were more likely to get lost or encounter livestock and working dogs, etc. 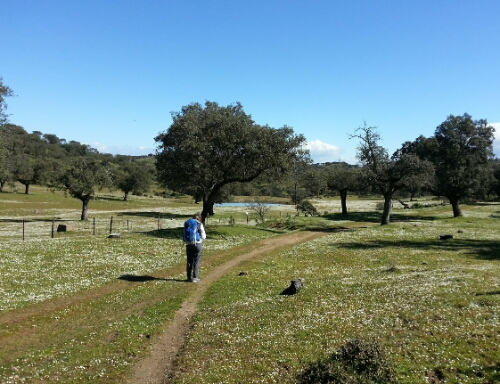 I have more information about how to manage the stages from Cáceres through Extremadura and will put it in a separate post when I have time to organize it. March 11, 2016 in Misc..